Young Nigerian pop music star, David 'Davido' Adeleke is no doubt one of the biggest artistes in the continent of Africa at the moment. Days after winning the coveted MTV Base 'Best Artiste of the Year' award, he was named the 'Best African Act' at the BET awards. 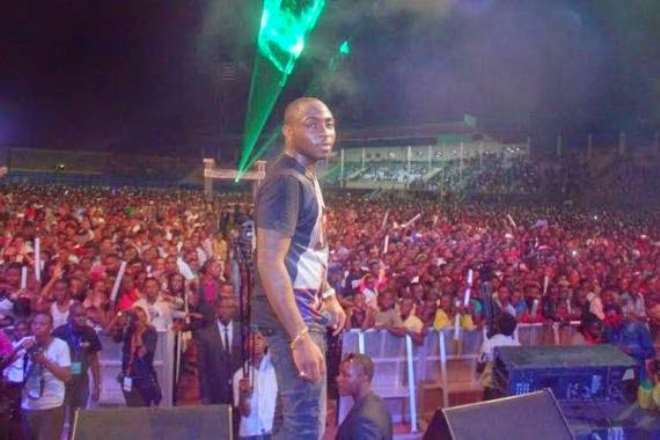 He commands top shows in the continent and he is well known in many African countries, which has raised the argument among music buffs that Davido is now the most popular artiste in the continent, with many people claiming D'Banj, Wizkid, P-Square and the likes cannot match his popularity now in Africa. Well, that is a topic for another day. 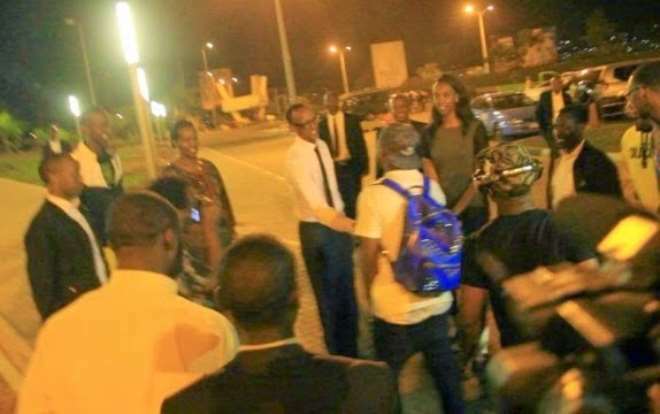 The latest is that Davido, who Nollywoodgists.com recently reported to have warned that he does not like to be called 'Omo Baba Olowo' again, was given a presidential welcome in Rwanda. 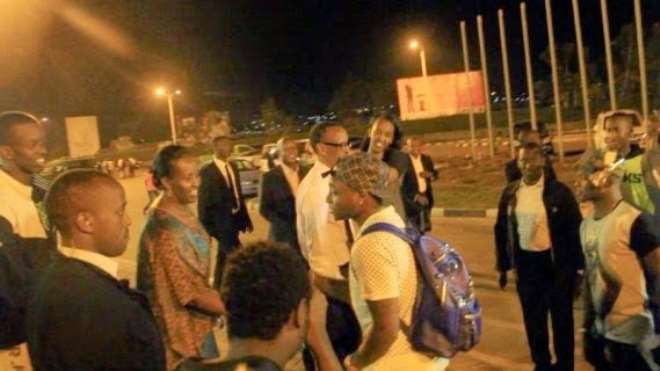 It was gathered that on July 4, 2014, President Paul Kagame of Rwanda welcomed Davido to the country, who was billed to perform at the country's annual Liberation Day celebrations at Amahoro national stadium in Kigali. 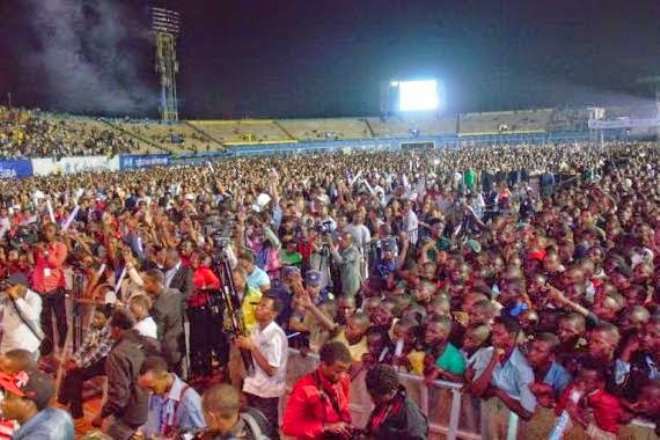 Davido reportedly performed before about 60,000 fans as well as other East African presidents and left many asking for more.